I really need to practice doing eyeliner, I’m so bad at putting it on! I can never do a thin line and I need a steadier hand. So if you are one of those people who cannot live without your eyeliner, try this one. It’s like a gel eyeliner, but instead of using a brush to put it on it’s a like a pencil so its much easier. It’s soft and comes out so well theres no need for multiple coats like with some pencil eye liners. However only downside is I noticed it smudged and rubbed off easily but did stay in tact for hours if it was left untouched! 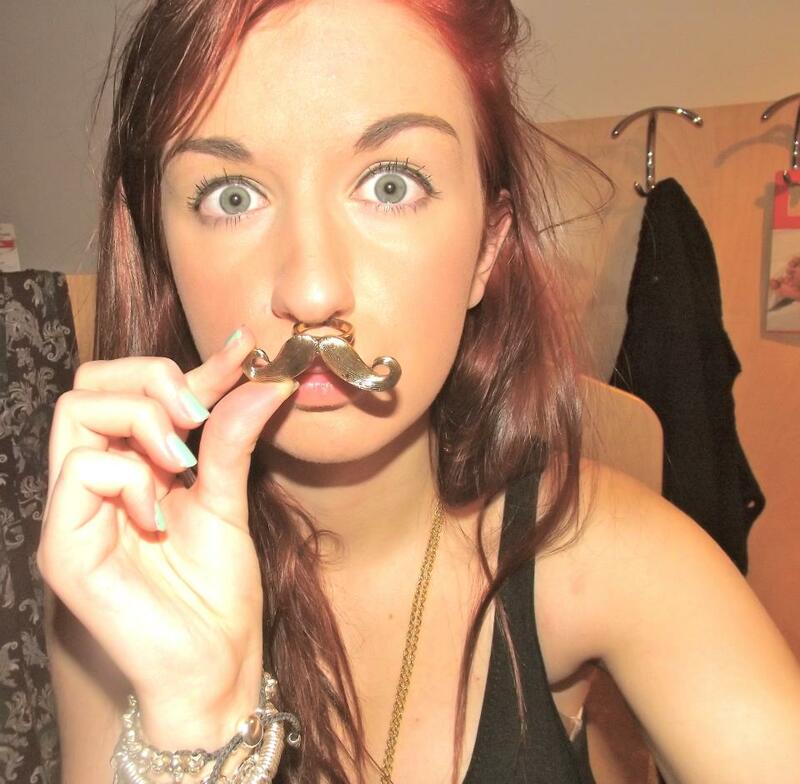 Below is a very weird picture of me wearing the eyeliner holding up my beloved Topshop moustache ring. You can buy the eyeliner here for £6, Avon recently had an offer for £3 so keep checking! I got mine for £6 and it came with the new SuperShock Avon mascara which you must try! It doesn’t clump and gives you long dark lashes. I used to use two mascaras to get this look but with this find you can have it in one.